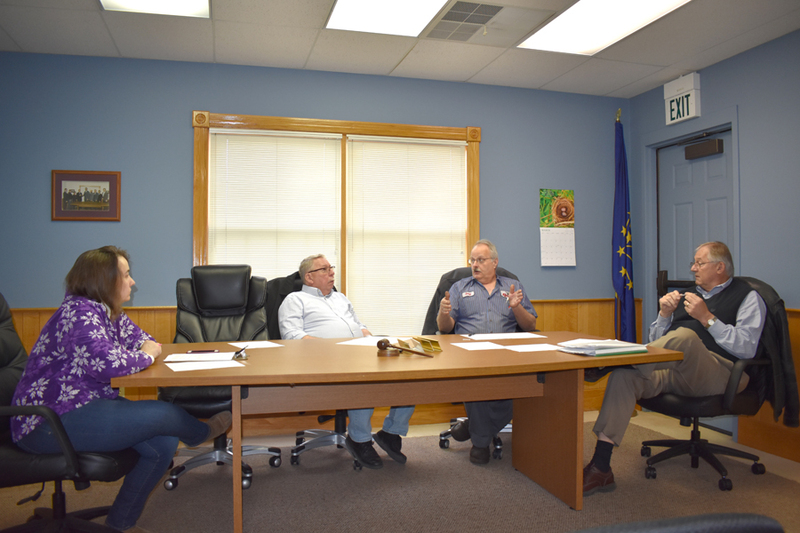 MILFORD — Milford Redevelopment Commission met Monday, March 11, to discuss how to meet the needs of an unidentified business currently expressing interest in one of Milford’s two TIF districts annexed for industrial development. Doug Ruch, who is also town council president, stressed the potential development remains in the “preliminary stages” and declined to hazard a guess as to the number of jobs it might bring to the area. He did say the building would be located in TIF District 1, north of Syracuse Street. The proposed facility would require a booster pump for added water pressure to support a sprinkler system, according to Ruch. Milford Utilities would also need to negotiate access to the south side of the building, which will be purchased through a lease. “It’s never too early to start putting together the pieces of the puzzle,” commented Alan Tio, the new president of Kosciusko Economic Development Corporation, who was also present. He added KEDCo would also assist with the project. “Services are provided throughout the county,” agreed Dan Brown, commission president. In other new business, Ruch also informed the commission a solar field will be built west of Milford Elementary School, which will generate the school’s electricity. Tio was on hand to inform the commission of KEDCo’s activities since he took over from George Robertson who retired in 2018 before dying from cancer in February. Tio also mentioned Milford’s undeveloped 214 acre industrial park as being “at the top of our list of available areas,” due, in part, to its rail access and the future impact of the expansion of CR 1300N, connecting SR 13 and SR 15.